Have you tried making Instant Pot Sweet Tea? It is a quick and easy way to infuse that sweetness into the tea for the perfect southern style sweet tea! This sweet tea will rock your world on ease to make and flavor! Whip up a batch today and sip away, at some incredible homemade sweet tea. Instant Pot Sweet Tea is a hands-off approach at giving you a bold but smooth tea that doesn’t offer that bitter aftertaste. No more watching the temperature on the stove to ensure it doesn’t go out of hand and leave you with tangy or bitter tea. My recipe is going to knock your socks off, and leave your guests begging for the recipe. 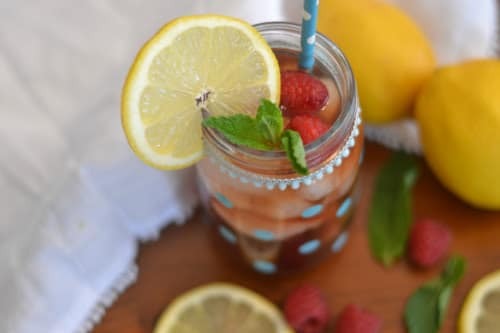 Love fruit-infused tea, try my Instant Pot Raspberry Iced tea. When I saw people making tea in their Instant Pot, I thought it isn’t hard to make sun tea or boil some water on the stove. I mean come on guys it isn’t rocket science. Then I took a sip of sweet tea that was made in the Instant Pot and my life was changed. It is hard to explain how the Instant Pot transforms the flavor, but it is so rich and bold but with a smooth after taste. It can’t be beaten in my books. I now only make sweet tea in my Instant Pot! Or if you have the latest and greatest Ninja Foodi you can make it in that using the pressure cooker feature! If you opt for a natural pressure release, you are going to allow your tea to steep at a nice high degree temperature. This is going to give you that really bold flavor without the bitterness or tang. A lot of times on the stovetop if you aren’t careful it gets too much-boiling action and with the Instant Pot it manages itself. Some people will take one drink of tea and say this isn’t sweet tea. Or others say it is too sweet. With my Instant Pot Sweet Tea, you adjust the tea to your liking. If you want it extra sweet, toss in more sugar, or the opposite to tame it down. Nothing is set in stone and feel free to adjust to your liking. 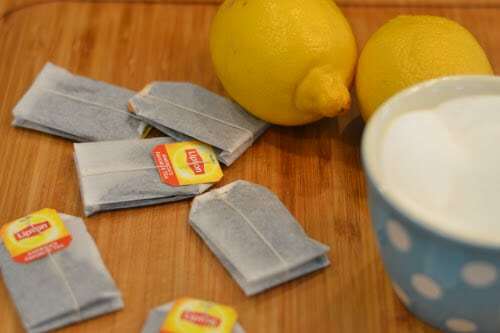 If you see a lot of times people will add a pinch of baking soda to their tea. This little secret ingredient is great for reducing any bitterness you might have gotten from the tea. A little pinch is all you need to give yourself the perfect tea! You don’t have to add a pinch in. But it is a great extra step for a perfect sweet tea to serve up. Once you finish your batch of sweet tea, pour in a pitcher or container and store in the fridge. Then when you want to pour a fresh glass of tea and enjoy. This will last 4-5 days in the fridge. Give my Instant Pot Raspberry Iced tea recipe a try today and see how you like it! Lemon wheels, orange wedges, or mint for garnish.